Earlier this week I travelled on the Welsh Highland Railway, a restored narrow-gauge steam railway which runs through the heart of the Snowdonia National Park in North Wales. Once hailed by The Telegraph as ‘One of the greatest train journeys in the world’, this statement has been reaffirmed recently by Michael Portillo in his Great British Railway Journeys TV series. Praise indeed, but is the WHR really as good as they say? 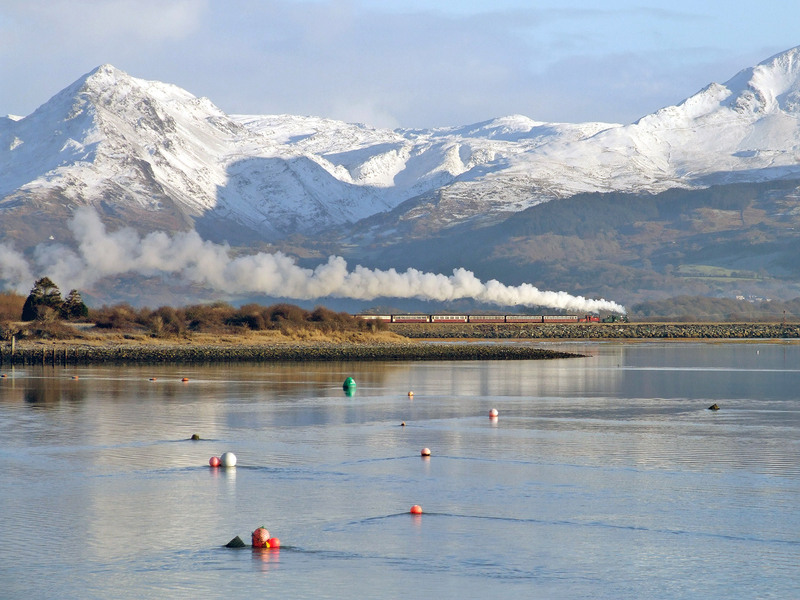 To experience the journey for myself, I headed to the coastal town of Porthmadog, where Harbour Station’s platforms (bustling with passengers of all ages and nationalities) stretched out to ‘The Cob’, a mile-long sea wall with extensive views of Tremadog Bay and a freshwater lagoon teeming with birdlife, beyond which rose Snowdonia’s magnificent mountains. What other station in the world can boast that?! Standing majestically at Platform 2, hissing and steaming through its preparations for departure, was Beyer Garratt Locomotive number 138. Its highly polished red livery, brass and copper-fittings glinting in the morning sunlight. 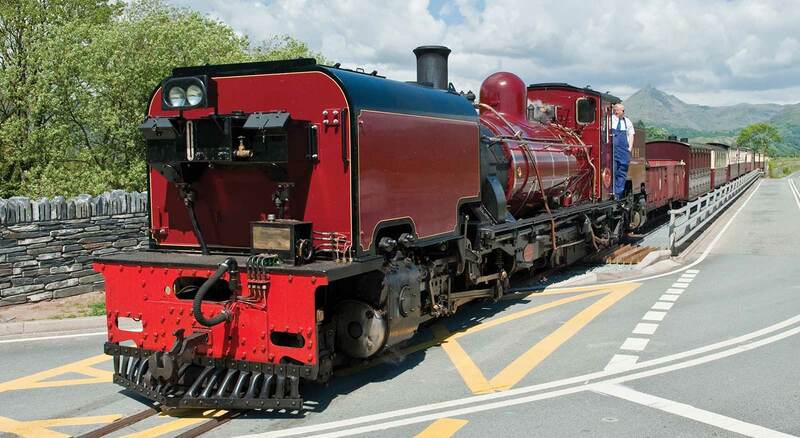 Built in Manchester in 1958, 138 spent its early life working in South Africa before being shipped back to the UK in 1997, entering service for the WHR in September of that year. It’s a seriously powerful locomotive and needs to be, as it pulls up to ten passenger-laden carriages from sea-level at Porthmadog (where it crosses the high street to the delight of waving onlookers), through the mountains to a summit point of 650 feet (198 metres) on the western flank of Snowdon, before descending to the North Wales coast at Caernarfon. Coast to coast, a journey of 25 miles (40 kms). The carriages in use on my journey included a sumptuous first-class Pullman Observation carriage named ‘Glaslyn’, which was built from scratch in 2008-9 by the WHR’s own highly-skilled team of engineers, fabricators, carpenters, sign writers and painters, all based just a mile from Harbour Station at Boston Lodge, plus a further six carriages, some original some recently-built (one open to the elements) all designed in the traditional style and painted in nostalgic maroon and cream livery. 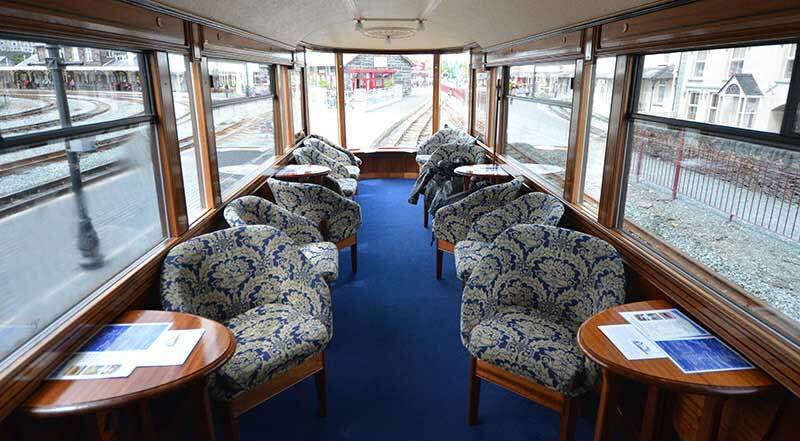 Paying what seemed a very reasonable extra charge, I chose first-class and settled into the ‘Orient Express’ comfort of ‘Glaslyn’ and begun to admire the interior wood panelling, which included superb marquetry panels depicting ospreys. As we departed the station, smiling stewards in smart WHR uniforms, made their way through the whole train, offering a warm welcome, answering questions, taking orders for refreshments from an extensive menu and informing us of ‘must-see’ points along the route. By the time I had ordered my cappuccino and breakfast bap (delicious!) we were travelling alongside the Afon Glaslyn, with crystal clear waters carrying snow melt from Snowdon to the sea and the ‘must-sees’ were coming thick and fast. To the right the sharp-featured peak of Cnicht, known as the Little Matterhorn, to our left the nesting site for the Glaslyn ospreys. A mile-long tunnel carved by hand, from which we emerged into the spectacular Aberglaslyn Pass, where the sound of thundering waterfalls and the smell of coal and steam from the hardworking engine created an intoxicating, unforgettable concoction. Next, the picturesque mountain village of Beddgelert, where legends abound of Welsh Princes and faithful hounds, moss-clad forests, glacial lakes and as we pulled into Rhyd Ddu station, a view of Snowdon’s summit, at 3,560 feet (1,085 metres) high, the tallest mountain in Wales or England. 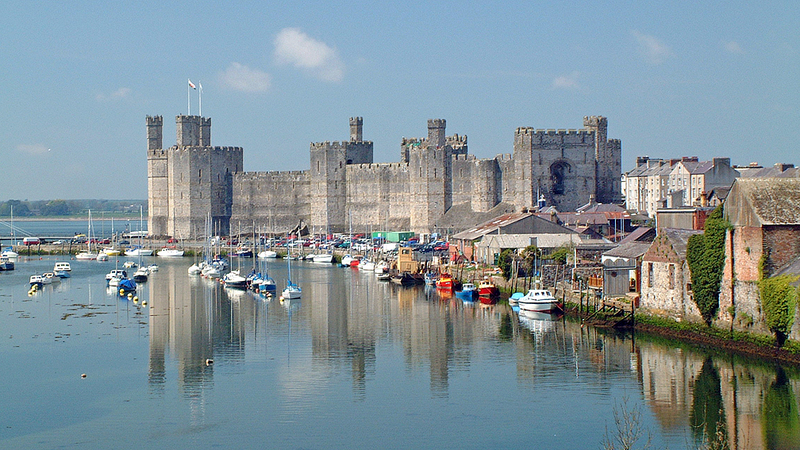 Just over two hours from departure we arrived in Caernarfon, coming to a halt beneath the magnificent ramparts and battlements of Caernarfon Castle, a UNESCO World Heritage site. So, is this, ‘One of the greatest train journeys in the world’?…………. Without doubt, but don’t take my word for it, or The Telegraph’s, or Michael Portillo’s, make this amazing feat of railway engineering and this wonderful journey, your destination.